Oh, I love this! I was sold as soon as it said English countryside, but I love the idea that it spans multiple decades. And what a pretty cover. Thanks for turning me onto it, and Happy Wednesday! You have managed to find yet another promising read. 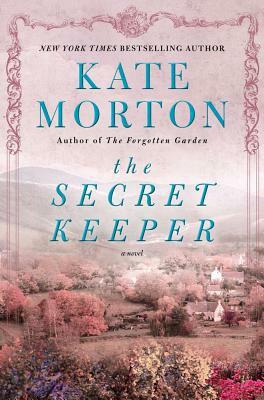 This is my first look at The Secret Keeper and I am now looking forward to it as well. Great choice sounds interesting another for my tbr list!!! I think this is one of your best WOWs yet. The mystery of the crime witnessed and all these lives intersecting is just too much to ignore. Take a peek at My Wow when you can. What a great pick! And that cover?!?! I want to climb inside of it! This one sounds like such a great read! Thanks so much for sharing! I absolutely love books that span over decades. Sounds like a great read. Thanks for sharing! I love books set in this time period! Looks good. Ooh, I'm definitely adding this one! I wasn't aware of this one; thanks Jill. Her books are ones I enjoy and they have the nicest covers. I was really excited when I read about this book! This is my first WoW entry.Please do check it out! This one sounds pretty good. Not my typical read, but I may have to check it out. 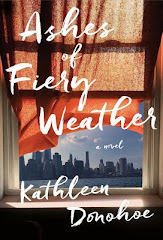 Although I haven't read anything by Kate Morton (yet), I really like the sound of this one! Great pick, Jill! This is my first time doing this meme! Siked! This sounds like a great pick, and the cover is so pretty. I love love love Kate Morton..thanks for the heads up! I typically don't read books like this one, but, it actually looks really good! Ahh this sounds like it's going to be a seriously tense mystery! Awesome pick! My post is published finally lol, oops!!! I forgot to schedule this one so it was just saved lol. Happy reading and Happy Wednesday!!!!!! This is my first Waiting on Wednesday!!! "Before the afternoon is over, Laurel will witness a shocking crime that challenges everything she knows about her family and especially her mother, Dorothy." The Secret Keeper sounds like an amazing book! My WoW post is here: www.bookloversparty.blogspot.co.uk. And I will most definitely be adding this book to my 'to-read' shelf. I am excited to start this weekly meme. Looking forward to seeing what everyone else is waiting on! I put my waiting on wed. link in linky, I didn't see that this morning, lol. Thanks. The release date is on my birthday :o Good choice!